Rick has been Director of Music at Pine Shores Presbyterian Church since June of 2002. He leads an extensive Music Ministry that includes the adult Chancel Choir, 2 adult handbell choirs, a youth handbell choir, the JOY Company Chimers and also coordinates the church’s concert series. Rick is the founding director of the “Ring Sarasota” Community Handbell Ensemble. He has arranged a complete handbell transcription of ‘Jupiter from the Planets’ which was published by From the Top Music. 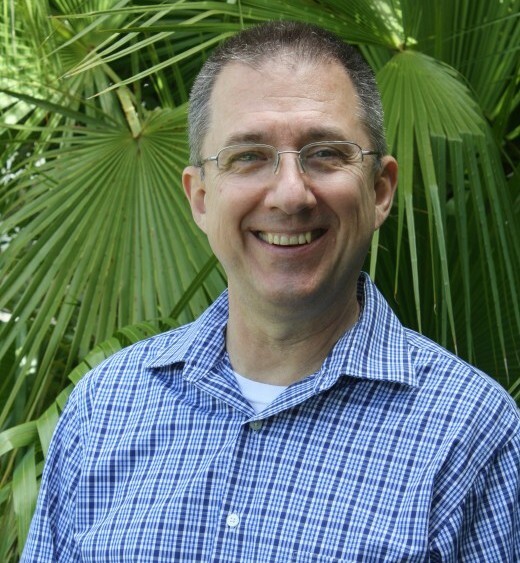 Rick is an active member of the Sarasota-Manatee Chapter of the American Guild of Organists, the Handbell Musicians of America, Presbyterian Association of Musicians, and the Fellowship of Methodist Musicians. In addition to his musical duties, Rick is the church’s Audio Visual coordinator, coordinating and training the church’s sound and video technicians; and local computer ‘geek’ maintaining and monitoring all of the church’s computer equipment and network. Prior to coming to Pine Shores, Rick served as a musician in the U.S. Navy, where he performed, managed and directed Navy Bands worldwide for 30 years. During his time in the Navy he was a volunteer Youth Choir Director in Memphis, TN; Orlando, FL; and Dale City, VA. He also served as a part time Director of Music at churches in Orlando, FL; Memphis, TN; and Virginia Beach, VA. Rick and wife Cher have three grown children and four grandchildren. In his spare time, Rick can be found working with his ‘O’-gauge model train layout.